Located in the heart of Osaka, directly connected to the subway Matsuyamachi station. You can both enjoy one of the most traditional, cultural area of Osaka as well as dynamic commercial area of Shinsaibashi,110 meters to Karahori market arcade. Very close to go anywhere in downtown Osaka. 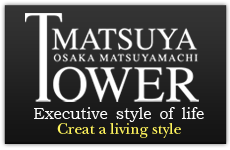 If you are looking for an luxury apartment in Osaka, this place is for you! First time in Kansai region, 24 hours New York Style absolute security system. The latest earthquake resistant structure reduces the seismic force. Emergency goods are stored in case of a disaster. The residence has barrier-free floor, double glass and double ceiling structure with high sound proof and thermal insulation. The bathroom is fully automatic and equipped with thermal floor and mist sauna. 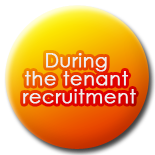 There are physical clinic, dental clinic and convenient store in the tower. Produce an ideal and comfortable lifestyles by the athletic gym exclusively for residents, free-of-charge B-B-Q corner on the rooftop,etc. Garbage pick-up service for twice a day, porter service to carry your luggage to the room, free rental goods such as an extra bed, kitchen utensils, etc. With all of these great services, you will feel as if you are living in the hotel. A combination of convenient commercial areas such as Shinsaibashi or Namba and quietness of old, traditional Japanese houses. Perfect place to live in a big city. Rental Condominium / Rental Apartments Matsuya tower is located on the southeast corner of the intersection of Nagahori Av. and Matsuyamachi Av. The tower is right on the corner from the exit no.3 of the subway Nagahori Tsurumi Ryokuchi line "Matsuyamachi station" Located in the heart of greater Osaka, though you can find nice parks such as Osaka castle park in neighborhood. You are guaranteed to fully enjoy the luxury life in this wonderful environment with a convenience of the city and the quiet residential area. Copyright MatsuyaTower Co., Ltd. All rights reserved.